It’s heralded by the lucky few who’ve been fortunate enough to indulge in its delights as one of the finest coffees you’ll ever sip. But finding a 100% authentic bag of Jamaican Blue Mountain Coffee can prove to be a challenge, and if you do happen upon a retailer that stocks it, be prepared to spend more than you probably ever have before on a bag of beans. Just why is Jamaican Blue Mountain (JBM) so difficult to find, and why is it so expensive? To better understand the special circumstances surrounding this uncommonly wonderful brew, it helps to have a bit of a background on the bean. Coffee was introduced to the island of Jamaica in 1728 when the first seeds were planted by then-governor Sir Nicholas Lawes. Since then, Jamaica has come to be appreciated for sharing many fantastic things with the rest of the world, but when it comes to coffee, the tiny island only ranks #43 on the list of top coffee producing countries. Their crops supply only a meager .01% of the world’s total coffee beans, pretty astounding when you consider just how sought after the Jamaican Blue Mountain product is. The warm, humid environment makes for a great growing environment for the Arabica Typica bean, which is what is found in Jamaican Blue Mountain coffee. 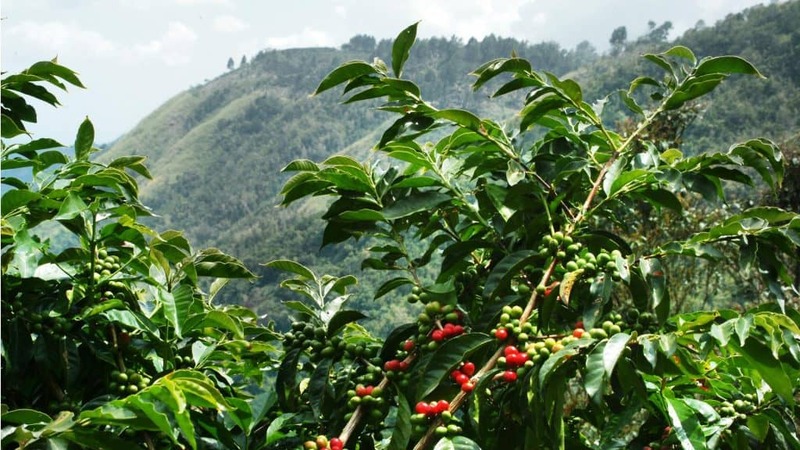 It is worth noting, however, that not all Jamaican coffee is considered to be of the Blue Mountain variety, and there are extensive guidelines put in place to differentiate it from other coffee crops grown around the island. 2. All Jamaican Blue Mountain must be grown within the parishes of St. Andrew, St. Mary, St. Thomas, or Portland parishes. Coffee beans harvested elsewhere are excluded from the esteemed classification. 3. JBM beans must be grown between altitudes of 3000-5000 feet above sea level. Anything grown at a different elevation doesn’t make the cut. The flavor of Jamaican Blue Mountain is why coffee lovers go to great lengths to score a bag and trying to explain it simply doesn’t do the brew justice. On the tongue, JBM is very smooth, with a barely-there degree of bitterness. It’s been described as being clean, mild, but also vibrant. There’s a very sweet, floral aroma, and the taste contains hints of nuts, cocoa, spices, and even a bit of creaminess. The taste profile is actually somewhat of a phenomenon, as many of its inherent qualities aren’t commonly found working together in such perfect harmony. But not only do they work together in the case of JBM, the myriad of flavors complement each other in ways that have to be enjoyed first-hand to truly understand. Most coffee grown around the world is done so on flat land, but Jamaican Blue Mountain coffee is grown on top the Blue Mountain Ridge, which isn’t necessarily the easiest of places to work coffee crops. Thus, the process by which the coffee is harvested and the crops tended to is very laborious, and can even prove to be dangerous. Also, JBM isn’t produced in high numbers, and in doing so, the country is only able to crank out about 4-5 million pounds a year, which really isn’t a lot when you consider that other countries can easily produce ten times that much in a typical growing season. Of what is grown, 80% of that is exported to Japan. The remaining 20% is what’s left for the rest of us to fill our cups with. Since Economics 101 teaches us that with demand comes a need for supply, there are many retailers ready to sell you something that is close to JBM. These products are abundant, and some can even prove to be fairly convincing copycats. So if you’re in the market for a bag of authentic Jamaican Blue Mountain coffee, what steps can you take to make sure what you’re buying is genuine? The coffee division of the Jamaica Agricultural Commodities Regulatory Authority doesn’t take kindly to others trying to imitate their cash crop with cheap imitations. Such deplorable practices only create confusion in the marketplace and tarnish the name of Jamaican Blue Mountain coffee, and that’s why the board requires all 100% authentic JBM to carry a mark of certification denoting that the product is real. A situation that often arises when attempting to purchase JBM is when a company may offer a blend that includes the rare beans mixed in with others. These companies aren’t necessarily trying to pull a fast one; in fact, most times they’re very upfront about what’s actually in the blend. But oftentimes, these products contain only a very small percentage of Jamaican Blue Mountain, and shouldn’t be considered an accurate representation of genuine JBM. Ready to take the plunge and add your name to the list of coffee-faithful who can lay claim to having actually filled their own cup with JBM? Grab your credit card and check out a few of these brands! A family business, owner Edgar Munn’s uncle Keble was pivotal in creating the Jamaican Coffee Industry Board. His relationship with Blue Mountain farmers spans generations and Blue Mountain Coffee is the outlet through which he sells an assortment of fine brews. You’ll find both 100% JBM as well as blends, but their Jamaican Rum Flavored Blue Mountain Coffee infuses the buttery flavor of island rum with the already outstanding creaminess of the delicate coffee. Just as the name implies, Coffees of Jamaica provides access to many different brews from around the area, including the option to buy from specific familial estates. 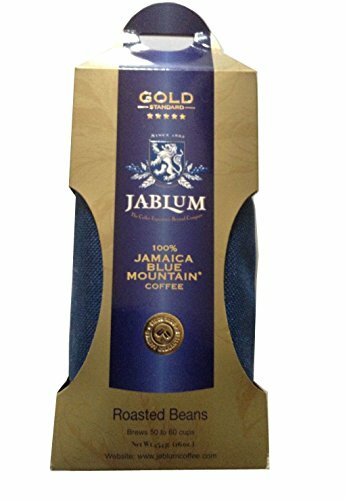 JABLUM Gold Blue Mountain is a bold dark roast, available in both whole bean and ground options. Roasting coffee since 1988, the Martinez knows what consumers want from a respected JBM retailer. That’s why they offer monthly subscriptions, samplers, and gift sets created to win over even the most discerning of guests. They’re also one of the few companies that offer a way to try out several different types of JBM, and that’s why we absolutely love their Jamaican Blue Mountain Sampler. With it, you’ll receive three individual packages, each containing four ounces of genuine JBM from different estates. Shipped from their facility in Houston, Texas, each order of JBM from this retailer is delivered in a burlap sack! Their Decaf Jamaican Blue Mountain is of a medium roast and is available in four different grinds. 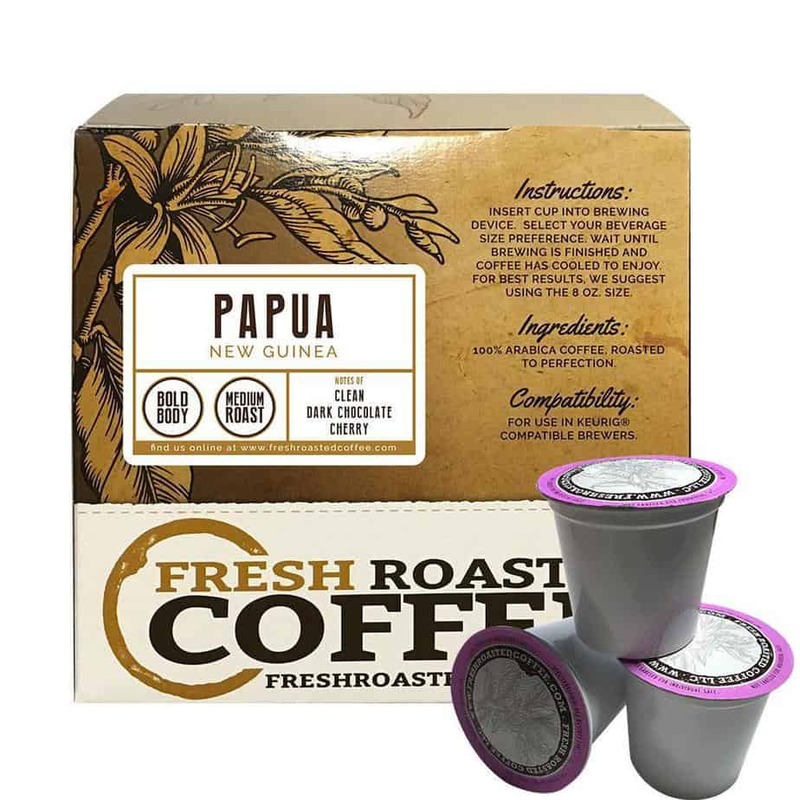 For the single-serve brewer crowd, this 18 ct. boxes of 100% Jamaican Blue Mountain Pods work with Keurig brewers and are a great way to start the day. As you visit these sites, you’ll notice that coffees are offered in several different sizes, quite often even in larger bulk quantities. And while you may be tempted to make a one-time purchase of a large stock, perhaps even splitting it with over fellow coffee lovers, don’t forget that the best-buying guidelines that apply to other brews also hold true in the case of JBM. A guideline that we can’t stress enough is to always try to purchase whole beans and grind them as close to brewing as possible. If you still prefer to buy pre-ground, make sure to store in an airtight container away from direct light or heat and follow the manufacturer’s directions. But by sticking with whole beans, you’ll never lose any of the delicious oils that really make JBM the treat that it truly is. Jamaican Blue Mountain coffee is a rare delicacy that, to be rather frank, most of us will never have the luxury of tasting for ourselves. It’s a shame, really, that a drink this magnificent will simply never cross the lips of many, mostly due in part to the high price. However, for anyone willing to trade their hard-earned cash for authentic JBM, you’ll be in for an experience that’ll put most other brews to shame. The very first time you purchase Jamaican Blue Mountain coffee, we’d recommend that while you may be tempted to pick up a blend as a way to save a few bucks, you really owe it to yourself to skip it and buy bona fide JBM. The sampler offered by J. Martinez and Company is a great way to try a few different options, all at a price that is actually rather affordable. When you imagine Jamaica, coffee may not be the first thing that comes to mind. But if you’re a coffee lover, then the tropical climate of the tiny island country should be right at the top of your bucket list.